Scott Krijnen is proud recipient of the 2016 CSN Bay Area All-Star Teacher Award for his remarkable dedication to his students and significant presence within the community. You can find more here, view the CSN video coverage of the event, and read the interview with Scott from San Francisco Conservatory of Music. Born in Antwerp, Belgium, Scott Krijnen was raised in an environment of music, conducting and education. It is with great joy that he gets to continue to grow in these areas everyday in his career and personal life. A recipient of a Master’s Degree in Cello Performance from the San Francisco Conservatory of Music, he is a frequent performer as a chamber musician, with concerts throughout the Bay Area, as well as Europe, Taiwan and Korea, and as an orchestral player, including as a member of the Silicon Valley Symphony and the San Francisco Chamber Orchestra. Scott has appeared as a soloist with the Spokane Symphony, the Palo Alto Chamber Orchestra, Silicon Valley Symphony, The Winchester Orchestra and the Coeur d’Alene Symphony. As a conductor, he is sought after throughout the Bay Area, currently leading the Cambrian Symphony, appearing as a recurring guest conductor with the Palo Alto Chamber Orchestra, in his 5th year as Orchestra Director of the "Summer in the City" festival at San Jose State University and his 3rd year as Musical Director of San Jose Dance Theatre. 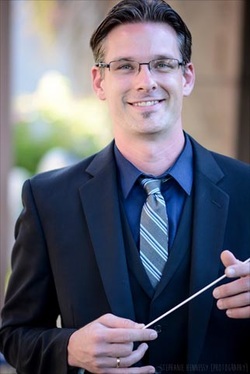 As an educator, Scott currently teaches over 550 students through 9 orchestras at Castillero and Redwood Middle Schools, winning teacher of the year recognition in 2011. Mr. Krijnen coaches and has conducted at Saratoga High School, leads sectionals at SJSU, and has coached and presented with PACO for the last decade. Scott is happily married to his wife of 12 years, Aryn, and is the father of two beautiful children who get to grow up in the same wonderful world of music as their father. Find Scott on LinkedIn, Twitter and Instagram.